Opening hours: Shopping malls and outlets are generally open from 9:30am or 10am until 9pm every day. Enjoy the Central Florida weather, usually 75 F or higher, by visiting one of over 170 golf courses, or seek some peace paddle boarding on one of Orlando's beautiful lakes. A refreshing dip awaits you in one of thousands of amazing pools, like the lazy river and zero-entry swimming pools at Cabana Bay Beach Resort, or the luxurious adults-only pool at the Four Seasons Resort Orlando at Walt Disney World Resort. In weather this nice, it's a shame to stay indoors. Orlando offers adventure lovers the chance for fun outside, with activities like zip lining at Forever Florida, off-road romps at Revolution Off-Road Experience, or hang gliding at Wallaby Ranch. Sports fans can get in on the action first hand with a game of tennis at the brand-new USTA National Campus in southeast Orlando on more than 100 tennis courts, catch the Orlando Magic play at the Amway Center, or visit Orlando City Soccer in their new stadium. For decades, space has been our final frontier. The Kennedy Space Center is dedicated entirely to expanding our scientific knowledge and the borders of our galaxy. Serving as the gateway for American space exploration since 1968, the Center is open for your exploration as well. 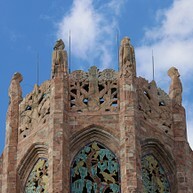 Come be apart of past, present and future history. When theme parks just won’t do, check out the educational yet fun alternative: The Orlando Science Center. 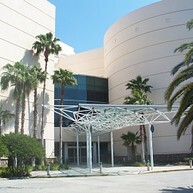 This huge 5-story building is chock full of exhibits and activities on each level. Don’t miss the Dr. Phillips Cinedome, which is an 8-story mega-screen theater. The OSC also has a planetarium on the top floor that opens every Friday and Saturday night. The fun Adventures with Clifford exhibit allows children to learn valuable life lessons while everyone's favorite red dog teaches. Also at OSC is the Blue Man Group exhibit, which explores the science of sound waves. 220 acres of pure sporting adrenaline awaits visitors at the ESPN Wide World of Sports Complex. The complex's facilities are all professionally managed and maintained, hosting thousands of athletic events each year and over 60 sports. 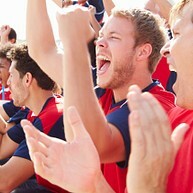 You can catch games or training sessions of your favorites teams, or even join in on the excitement. Located at the Walt Disney World Resort. The majestic Orlando Wetlands Park was the world's first large-scale, man-made wetland. 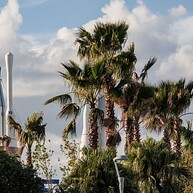 Designed for the purpose of filtering pollutants from reclaimed water, the Park has given way to an impressive array of plants and wildlife in a "mini-everglades." Come and enjoy nature in its finest, most untouched form. Popular activities include bird-watching, nature photography, jogging, and bicycling. If you've always dreamed of cuddling a baby lemur or feeding playful kangaroos, this unique ranch is the place to go and make your dreams come true. Many different animals cohabit here under supervision and care of the friendly owners. This venue might just be worth the trip to Orlando even for those who do not particularly delight in roller-coasters and rides. Despite its compact size, the Orlando Shakespeare Theater continues to impress locals and guests alike with the high quality of its shows, including (but not limited to) "Monty Python's Spamalot". Check the website for the current show schedule. Winter Park is a suburb just outside of Orlando, and if traveling time permits, it is certainly worth spending a day there. With 26 beautiful public parks, many lakes, and downtown shopping and dining, this quaint little town will win you over with its romance and charm. Many people marry and hold special events in this sophisticated city. Winter Park is also home to Rollins College and four different theaters. 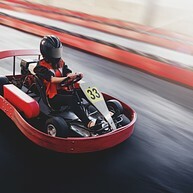 Orlando gives visitors a chance to burn rubber like the pros at the K1 Speed tracks. You can get speeds up to 50 mph on the electric Italian Pro-Karts, or opt to grapple with your reflexes in the off-camber corners. The two tracks can be rented by the hour. 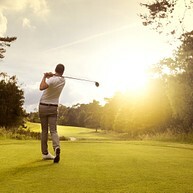 Golf comes standard in Orlando, with the Ritz Carlton Golf Club certainly raising the bar. Designed by golf legend Greg Norman, the course at Grande Lakes has a diverse array of greens and hazards to challenge and improve your game. Family golf is available: children and adolescents up to age 17 can play for free with each paid adult round. 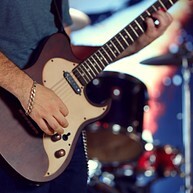 Hard Rock Live is a venue for great live concerts, all with the wonderful vista of palm trees and Orlando sunshine. Music and comedy events are both held. The establishment suggests arriving 1 hour prior to performances due to security measures, and cameras and recording devices are not allowed. The Harry P. Leu Gardens were founded in 1961, following the donation of its historical home and gardens to the City of Orlando. Now visitors are given an opportunity to explore the 50 acres of pure, natural bliss. Stroll along paths that lead to over 40 plant collections, including a butterfly garden and Florida's largest rose garden.